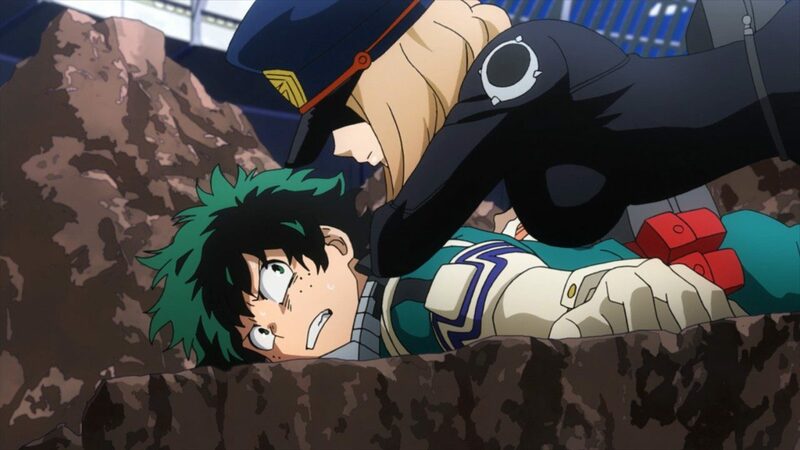 Hey hey hey, we are back to Boku no Hero Academia. Another season of 25 episodes. The story carries on with the same formula as usual, but with more combat, more drama. After watching so many episodes of this, I feel somewhat rather emotionally connected to it. Now I cannot wait for S4 April next year. The pacing felt a little slower this season, but the action-packed nature of the story this season didn’t really bore me out. Character development is also a lot better than previous seasons. The combat is also even more dramatic, even more destructive. And I love destruction. The dramatic plot twists are great, the struggle can be felt. I really became very connected to it. The climax I think is rather early into the season, but I guess following the source material, the timing can’t be helped. But with the climax being this early into the season, the 2nd half felt a little mundane. The ending left a cliffhanger and make us wait for 6months, April 2019. I love this season the most so far, I guess the heroes here grew the most in this season. There is also a lot of developments. Overall, a great season and the formula is maintained. The already massive list got expanded again. Shimoji Shino, Taichi Takeda, Adachi Yuka, Ogami Shinnosuke, Tsuda Kenjirou, Yasuno Kiyono, Ueda Reina, Matsuda Shuuhei, Miki Shinichiro, Chihara Minori are the main additions. This list will probably keep growing at this pace. I skipped the music and animations sections because they are virtually the same. I wish Bones can up their game with the animations, the key flaws are still the same. So yeah, that’s it. Can’t wait for 2019, Railgun 3, Accelerator, Date A Live III, Hero S4, One Punch Man S2. The funny things is that most of the shows I hyped about is from J.C.Staff. I will be on a cruise ship tomorrow (at the point of this writing) so I will be on a small break over the weekends. Next week I will be writing a pretty controversial post about why I stopped going to anime conventions, so stay tuned to that. I will be posting my cruise trip on my 2nd Twitter account so if you wanna check it out, click here!